Many famous Nigerians have impressive earnings. We are talking about celebrities. Would you like to discover who the richest celebrity in Nigeria is in 2018? We have selected the most popular names for you, so read this post and find out who has made it to the list of top 10 wealthiest people with fantastic net worth. 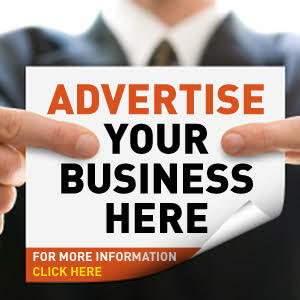 Nigerian celebrities are men and women who learned how to turn their talents into good profits. They are actors, singers, musicians, and entertainers who are loved by millions of countrymen. They are enjoying their sunrays of fame and making good money. Do you want to know who is the richest among all Nigerian celebrities. One of the richest in Nigeria when talking about entertainment is Don Jazzy, his real name is Michael Collins Ajereh. He produces and composes songs, sings himself, and has founded two labels (Mavin Records and Mo’ Hits Records). He has been named Producer of the Year several times by The Headies and received this prestigious title from Nigerian Entertainment and Nigerian Music Awards. Many sources give different figures when it comes to the net worth Don Jazzy: according tocelebritynetworth.com the net worth of the star is about 10 million U.S. dollars,networthcars.com and many other sources give the amount as 35 million U.S. dollars. The highest estimation is given bymbhmagazine.com. is 100 million U.S. dollars. Anyway, we must admit one thing - Don Jazzy is the richest celebrity in Nigeria in 2018. READ ALSO: Don Jazzy's biography: how has he become famous? The entertaining sphere is extremely popular nowadays. Professional singers who have a huge army of fans can earn pretty much. For example, Davido’s popularity started 7 years ago when his hit ‘Dami Duro’ impressed Nigerians so much they could no longer imagine music stage without this Nigerian star. Davido is the winner of multiple awards, including Nigerian Entertaining Awards, MTV Africa Music, BET, The Headies Award and others. His estimated net worth is 16-20 million U.S. dollars, as based on information shared bytuko.co.ke and naijaquest.com. READ ALSO: Wizkid and Davido: who is the richest in 2018? 2Baba knows how to present himself on stage. He is loved for his appearance and music. The number of awards received by 2Face Idibia is impressive. His personal treasure award-box includes titles from The Headies, MTV Europe Music, BET, Channel O Music Video Awards, etc. His estimated net worth ranges from 16 to 22 million U.S. dollars, according to nigerianinfopedia.com andreviewcious.com. This famous man has been in love with music since childhood. He began to record songs at the age of 11-12 and has collaborated with different popular singers and bands. Wizkid’s popularity came after the hit ‘Holla at Your Boy,’ and his many great singles and songs have brought him such awards as BET, Billboard Music, MTV Europe Music, and others. The financial magazine Forbes marked the Starboy as one of the top 10 richest musicians in Nigeria. His estimated net worth in 2018 is between 12-14 million U.S. dollars, according to247ureports.com and other reliable sources. We all know that D’Banj is the stage name of Oladapo Daniel Oyebanjo. By the way, not only Nigerians are in love with his music. The whole world probably remembers one awesome song ‘Oliver Twist’ released by this celebrity back in 2012 (it reached the top 10 charts in the UK). A popular singer has many awards from MTV Europe Music, MTV Africa Music, BET, and others. His estimated net worth is approximately 13.5 million U.S. dollars, according tonigerianinfopedia.com. He is one of the richest celebrity in Nigeria is often referred to as Baddosneh or Olamide Baddo. Unlike many other famous and rich singers from our country, Olamide loves recording his hip-hop hits in the Yoruba language. It is his distinguishing feature ever since 2011 when his first album ‘Rapsodi’ was presented to the public (a single from that album called ‘Eni Duro’ quickly reached the top Lagos radio charts). Olamide has many awards from Nigeria Entertainment and The Headies. His estimated net worth is approximately 6-12 million U.S. dollars, according to nigerianfinder.com andmbhmagazine.com. If you are a big fan of Nollywood films, you probably love Genevieve Nnaji. This impressive actress has won different awards, including the Best Actress by Africa Movie Academy (in 2005) and Nigeria Entertainment (in 2010, 2014). Her estimated net worth ranges from 1.5 to 9.2 million U.S. dollars, according to different sources, such asnigerianinfopedia.com and lifestylenaija.com.ng. The creator of ‘Kukere’ hit, Iyanya has become well-known across Nigeria after becoming a winner of Project Fame West Africa (Season 1) in 2008. That was a tough year for the musician because he lost his parents and older brother. Iyanya didn’t give up and focused on the MTV Project. The success quickly followed this famous Nigerian, bringing him such awards as Artist of the Year (The Headies, 2013), Hottest Single of the Year (for ‘Kukere’ song, 2013), Best Pop Singer (once again, for ‘Kukere’ hit, 2012). His estimated net worth is about 3.5-4.5 million U.S. dollars, according toaustinemedia.com. Do you remember P-Square? These two brothers were extremely popular in Nigeria, and one of them, Mr P (Peter Okoye) is now continuing his solo career. The split happened in 2017, and now, a year later, Mr P can boast some impressive nominations and even an award. This fall, Peter Okoye achieved his first International Achievement Recognition Award. His estimated net worth is approximately 1-1.8 million U.S. dollars, according tohotvibesmedia.com.ng. This gorgeous woman was born in Lagos to become an actress. While she studied law and mass communications, her impressive career is closely related to movies. She was noticed after ‘I Need to Know’ sitcom that lasted for four years, but real fame found her after the film 'Jenifa'. Funke Akindele was named the Best Actress in Nollywood for her roles in Jenifa, Emi Abata, Jenifa’s Diary, and other movies. Her estimated net worth is approximately 1.3 million U.S. dollars, according to austinemedia.com. You have seen some really famous Nigerians who are on our list of top 10 richest celebrities in Nigeria and discovered their net worth. 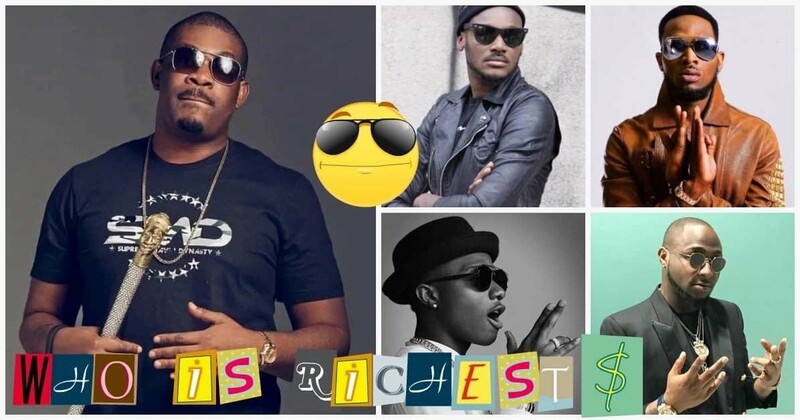 As you see, Don Jazzy holds the title of the richest celebrity in Nigeria in 2018. He is also one of the top 5 wealthiest musicians in Africa in 2018.